This little pendant is loaded with style. The texture is great and the message is ever greater. 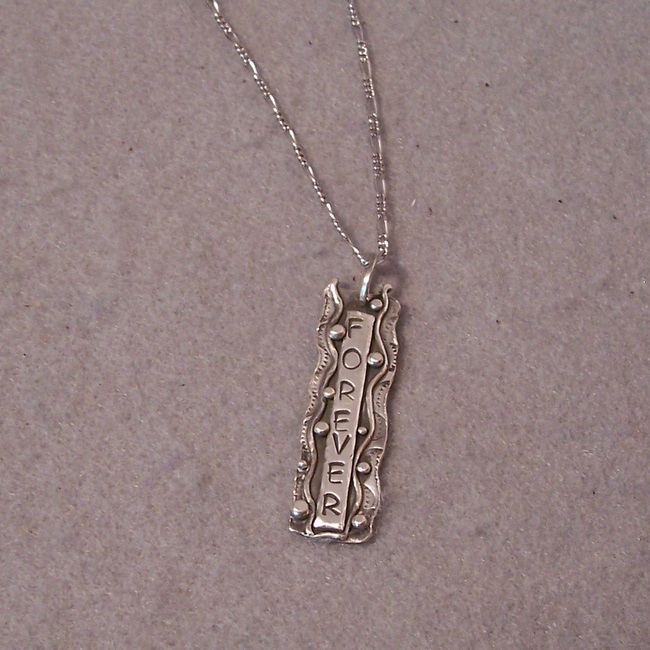 It has been oxidized to really highlight the design and then I buffed it like crazy so the high spots are super shiny. It measures 2" tall by 5/8" wide. 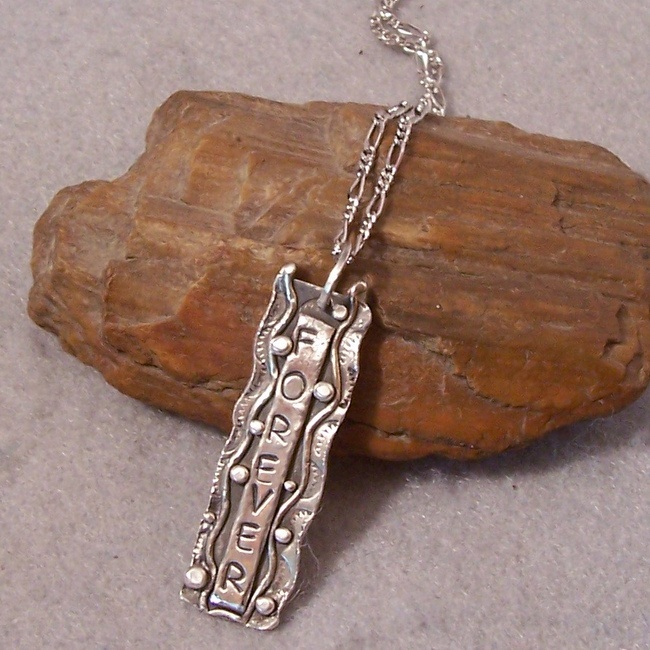 A really darling sterling chain is included. 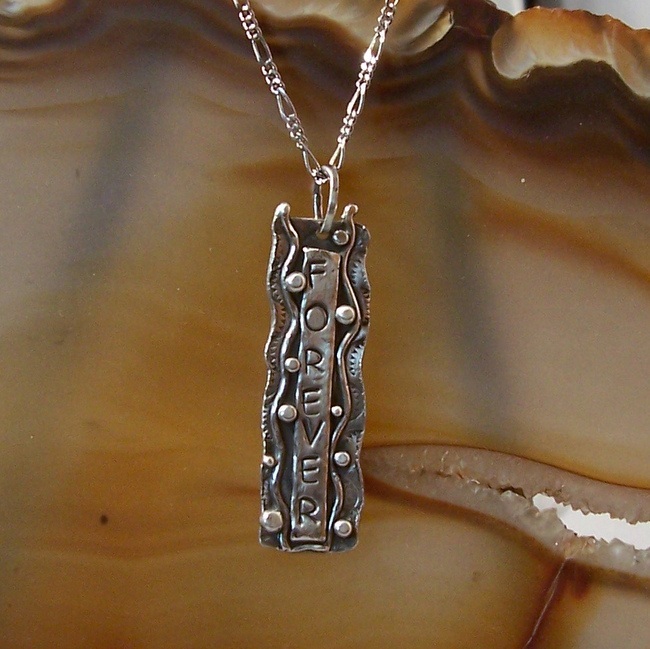 I am leaving this pendant on the website because I am taking custom orders for this style with any word you may wish.